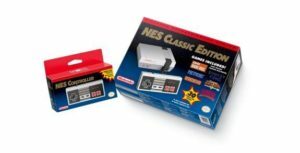 The company just unveiled the Nintendo Classic Mini: Nintendo Entertainment System. 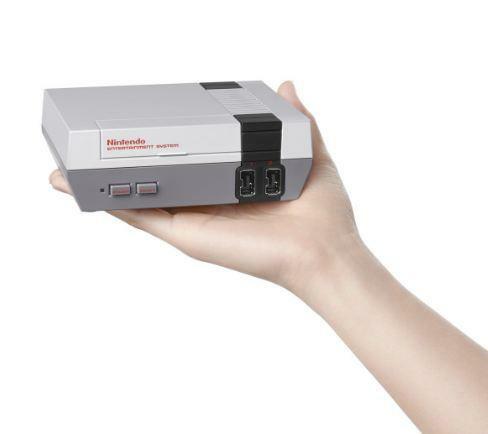 As the name suggests, it’s a miniature replica of the original NES. The console will launch on November 11, and comes with 30 classic NES games already built in, including The Legend of Zelda, Metroid, Super Mario Bros, and Mega Man 2. The console comes with a NES style controller, but you can also use a Wii U Classic Controller, or Wii Classic Controller Pro. The USB powered machine plugs into your TV with HDMI cable provided, and you can enjoy retro gaming goodness till your eyes fall out of your head for a mere $60 (around £45). Nintendo also confirmed that each game has multiple suspend points, a welcome change to the hellish pace that old school games previously set out for us.